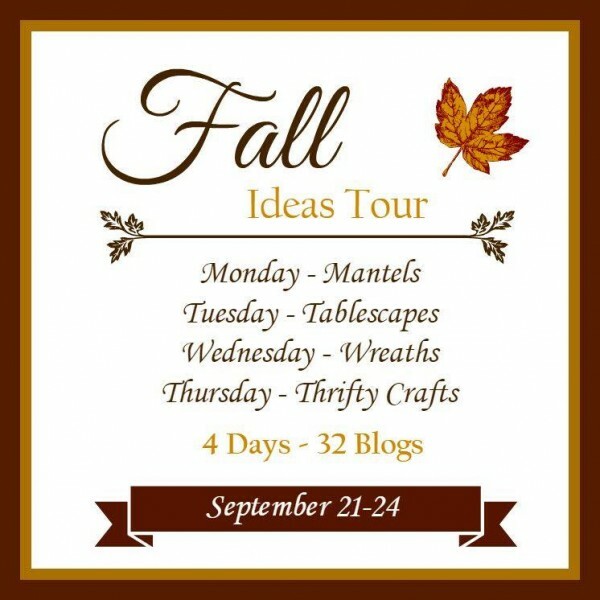 I was so happy to be asked to be a part of the Fall Ideas Tour with a few other wonderful creative bloggers. 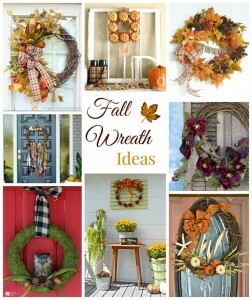 I quickly chose the wreath category, since I LOVE creating fun door decor. I thought this DIY Moss and Owl Wreath would be so cute! 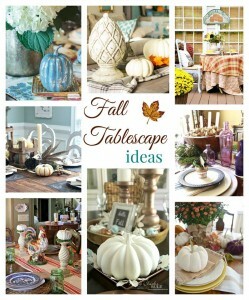 Be sure to visit the other bloggers for more Fall Ideas! Sometimes you really struggle with a craft idea. The idea you had in your head just doesn’t quiet workout like you were planning. 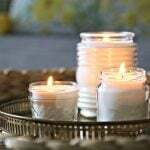 I knew once I got in my craft room, it would come together, I just didn’t expect so many hurdles. I headed to Michaels, and was thinking about moss. I knew I wanted moss. 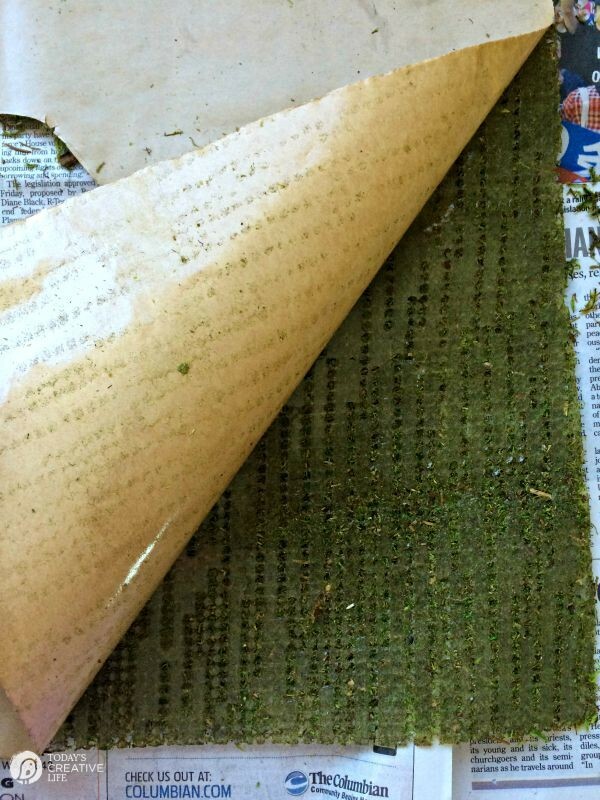 I quickly found the moss and saw they had some of the self adhesive moss sheets in stock. I figured it would be so much easier than trying to glue it all on. I opened it up and got to work. 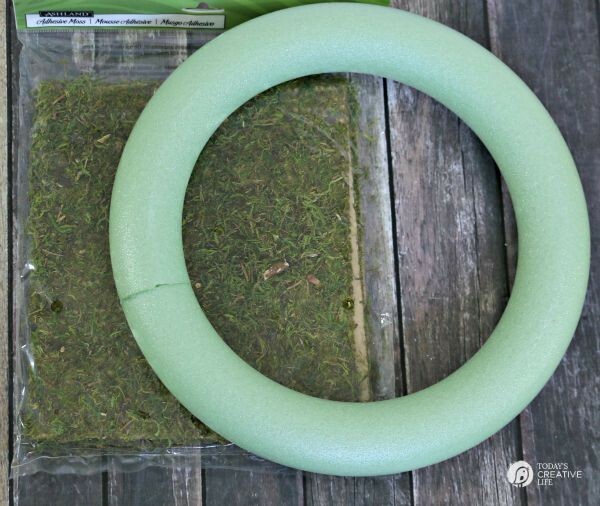 I wasn’t sure if I wanted to cut it in strips and wrap the wreath form, or just lay the moss over and fold it around the form instead. I decided to just wrap and fold it around. 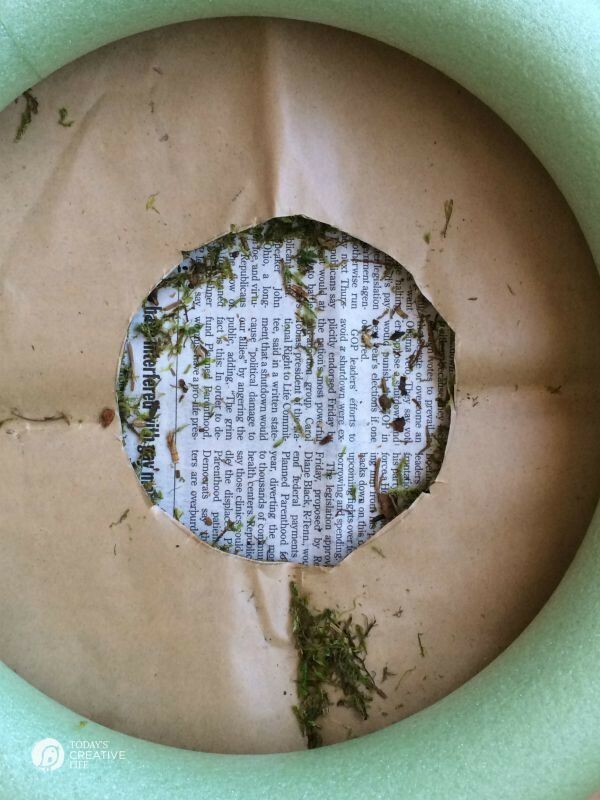 I cut a hole in the middle and if I were to do it again, I’d cut the slits while the paper was still on. 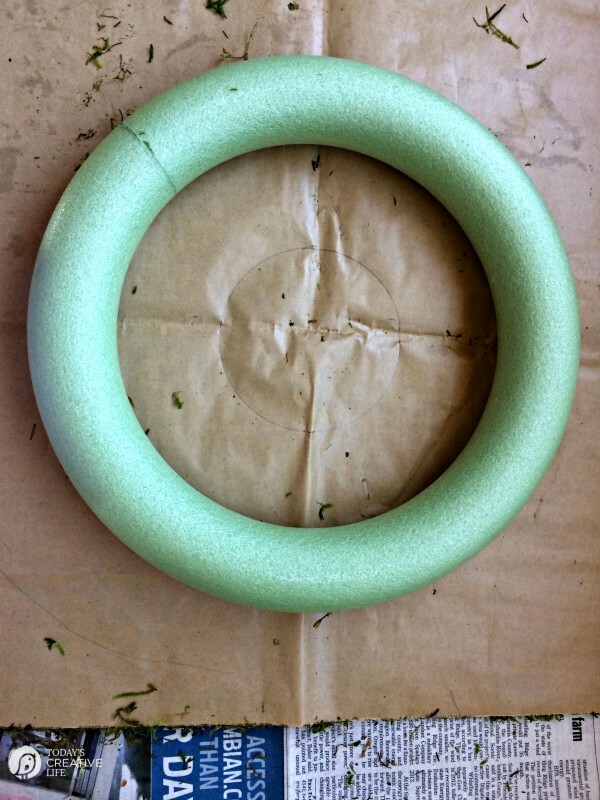 Cutting slits in the middle makes it much easier to fold towards and over the wreath. 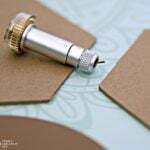 Cutting with the paper still on, means your scissors won’t get sticky stuff all over them. Trust me. Once I peeled the paper off, I suddenly remembered just how sticky this stuff is. Super sticky! It was tricky to handle, but I made it work. I wrapped, cut slits as best I could to wrap some more. I clearly could have thought this through a little more, but what fun is that? Once completely covered with the moss, I raided the stash I had picked up. I bought pheasant feathers, a cute little owl, some pinecones, glittered acorns. I took apart a few silk floral picks I already had. I had not a clue as to what I wanted to use. I really wanted to use my owl and I really wanted to use the feathers, but the two together looked silly. So I scratched that idea and decided to create a type of swag out of the greens I had, then working in the laws of 3, I created a little center piece with 2 pine cones and a glittered acorn. 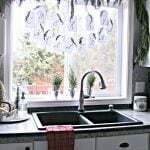 I grabbed my black gingham burlap ribbon and hung it up. I liked it. I took several photos and when I pulled up the photos to edit, I saw it. I’m sure Freud would have something to say. I thought maybe my mind was in the gutter, because seriously……. who would think that an owl would have a glittery piece of anatomy, right? I consulted with a couple of online blogger friends and with the photo still on my screen, my son walks in my office. I decided to ask him. I didn’t get more than 2 words out. “Lucas, does.…” and he quickly responded “YES!“…… so back to the drawing board, which was really the craft room. I ripped that acorn off, added a few more pine cones and flanked them with the acorns. I saved myself a lot of embarrassment! I think it turned out pretty cute. Even though it’s a little catty whompis from being torn apart. 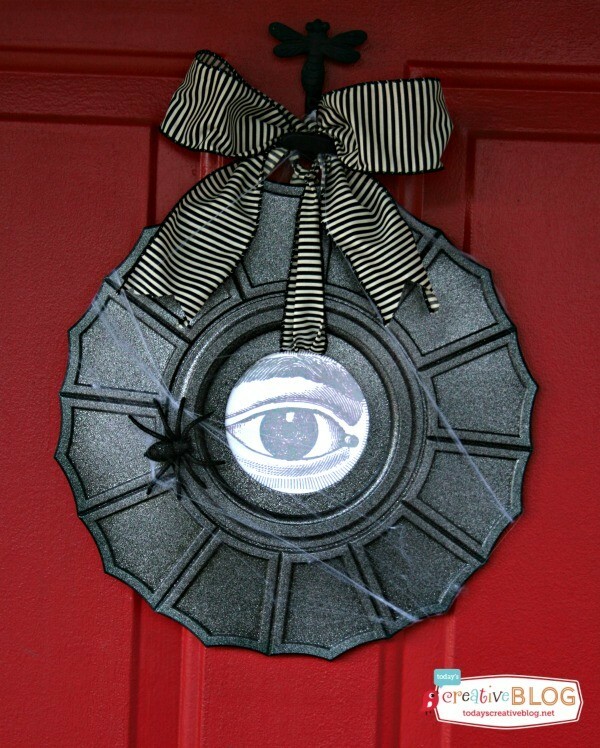 Easy DIY Halloween Wreath – Click on the photo for the tutorial. 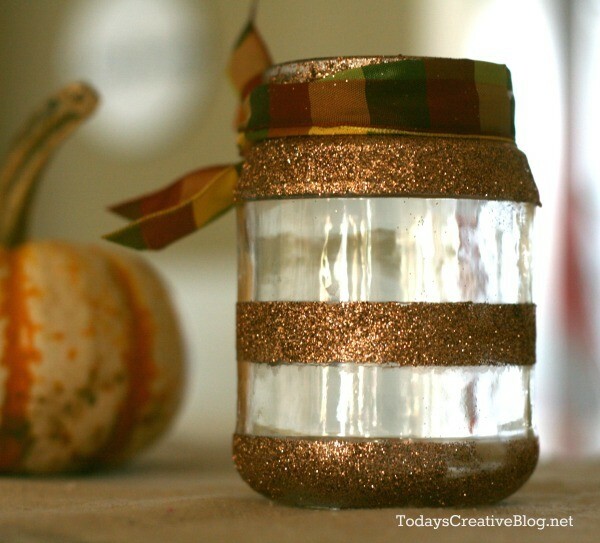 DIY Glittered Jars for a fun table centerpiece. 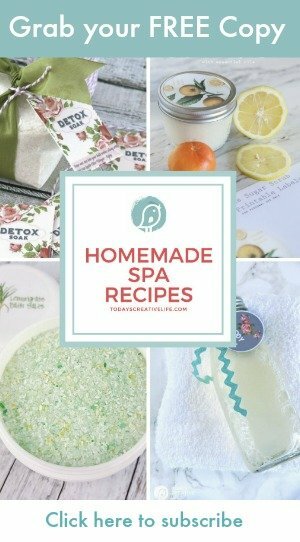 Click on the photo for the tutorial. 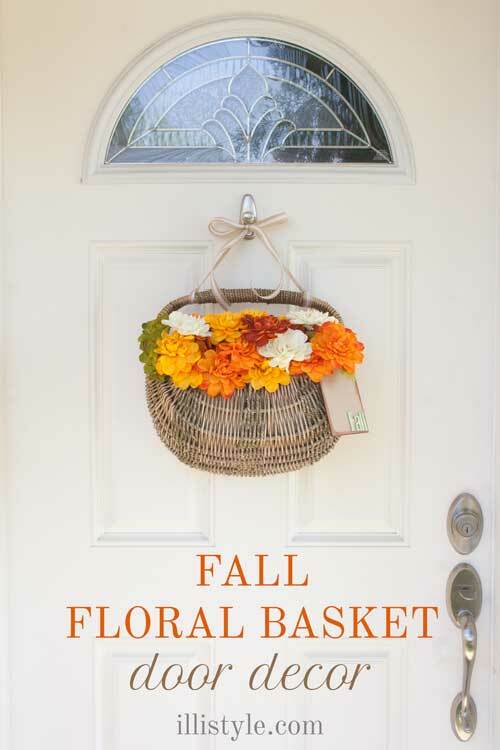 Easy DIY Fall Floral Basket Door Decor | Click on the photo is see the tutorial. I thought he was so cute too! This is so creative! 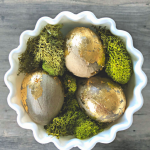 Love the hoot owl for fall, and I’ll use your moss wrapping tutorial on another project I’ve wanted to do forever:) I had no idea moss came in sheets, thanks for sharing! Kim – your wreath is adorable! We heart owls very much and your owl is just precious. 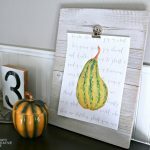 Such a fab and creative front door greeting! Oh my gosh, thanks so much for the chuckle this morning Kim. I didn’t see it at first until you pointed it out, which is surprising considering my mind usually goes right to the gutter. 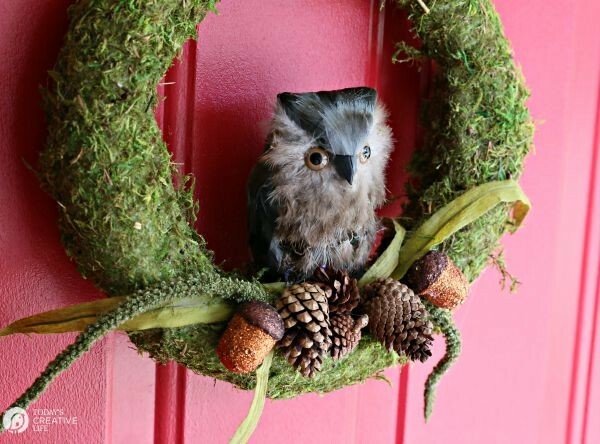 I LOVE your Owl Wreath – so adorable! Umm, sorry but I can’t resist…your owl has Donald Trump’s hair! Too funny about the owl anatomy! It’s funny how things in photos “stand out” and we can’t see it with the naked eye! Thanks for the tips on working with the sheet moss as I’ve never used it. 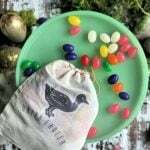 Pinning your super cute owl wreath! Yea… I couldn’t UN SEE it, once I thought about it. 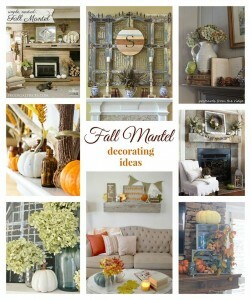 I love owls for fall. 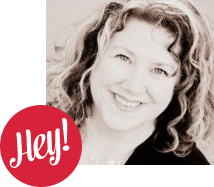 Your wreath is so pretty on your red door! 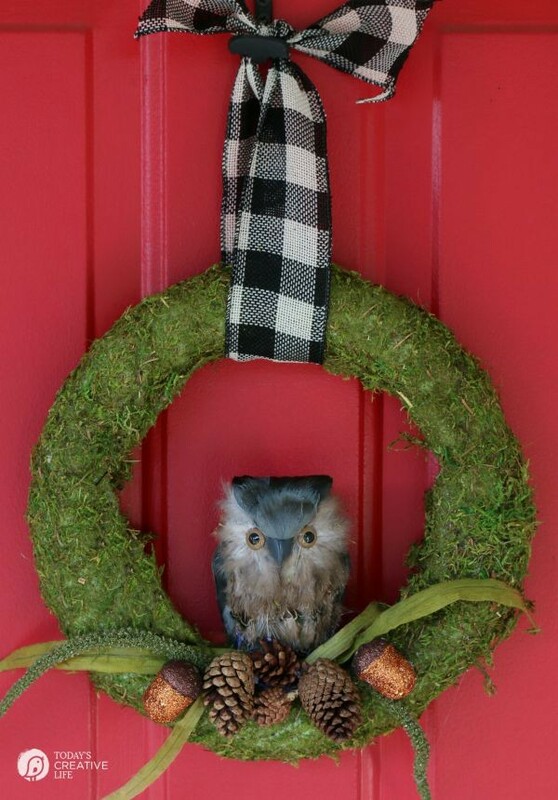 I think your owl and wreath are awfully cute! 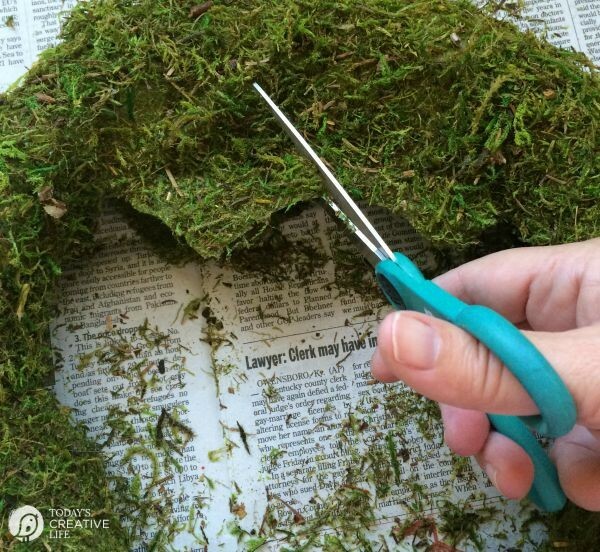 That sheet moss is such a mess to work with, but it looks great on your wreath. I didn’t realize you could buy self-adhesive moss. I’ve burned myself like crazy trying to hot glue sheet moss on other projects. 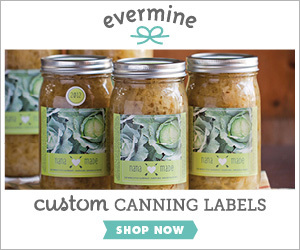 Thanks for saving my fingers for future crafts. Thank you! It’s looking pretty cute on my door! 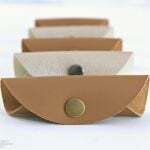 that is the cutest thing, perfect for fall! So cute! 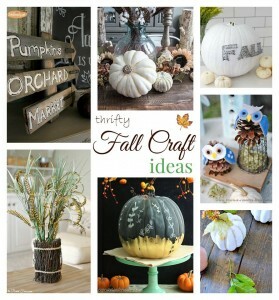 I love owls… especially during the fall! Thank you Maryann! Yes, I was so excited when I found him. He came in a rusty color too, but I thought the grey would go better with my door! Kim, I really love your mix of elements. 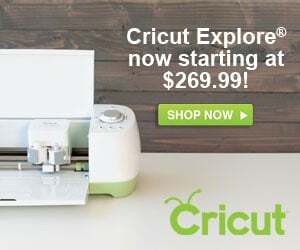 The owl is so cute and I would have never thought to add the black and white gingham ribbon. I really think it’s the detail that takes this wreath over-the-top! Aww, thank you! I love just throwing things together and seeing how it works! So cute! I didn’t know that moss came in self adhesive sheets. That’s so much neater than what I’ve been using. 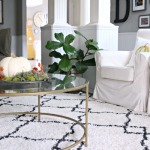 The owl is cute and perfect for fall. 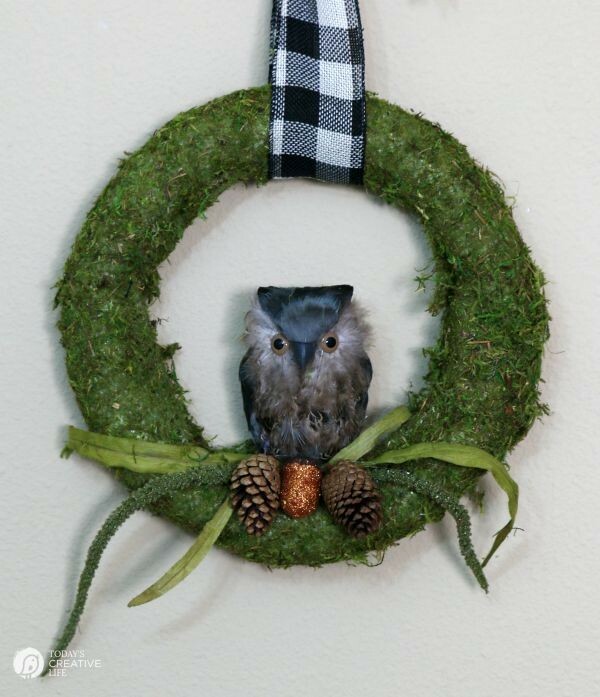 Hoo has the cutest wreath on the tour? I see what you did there….. 🙂 Thank you! 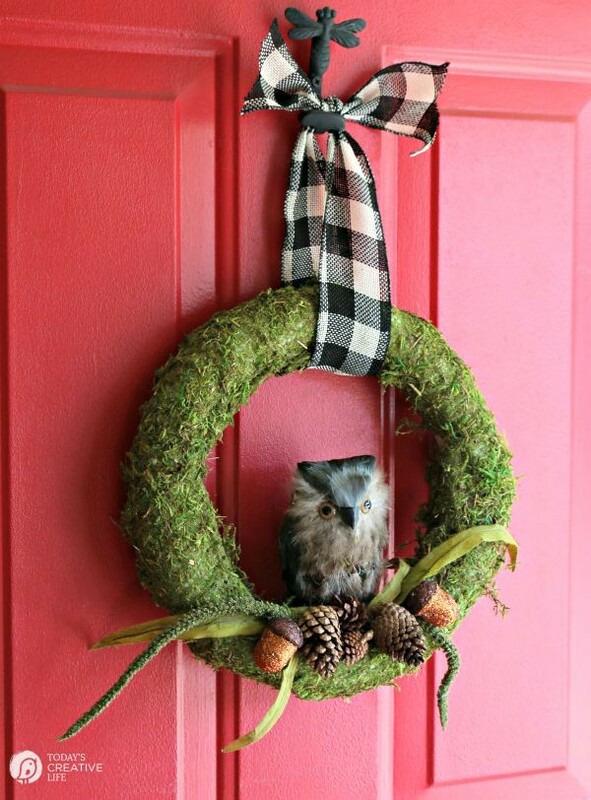 I love your woodland style wreath! The little owl is adorable! This little owl just makes me happy. I love this wreath!